Having observed pensioners unable to walk far and stranded on benches, their dogs listless or straining at the lead, Pae White designed her Barking Rocks park especially for the needs of both: now the elderly can rest and chat or picnic while their dogs exercise and play. The site itself at Pleydell Gardens, is sandwiched between the main shopping street and The Leas promenade, had long been neglected and is now transformed into what the artist calls “landscape theatre”. Sculptures of cats’ heads ominously stuck on nine-foot-high poles are a dramatic (if tongue in cheek) warning to those not invited here. 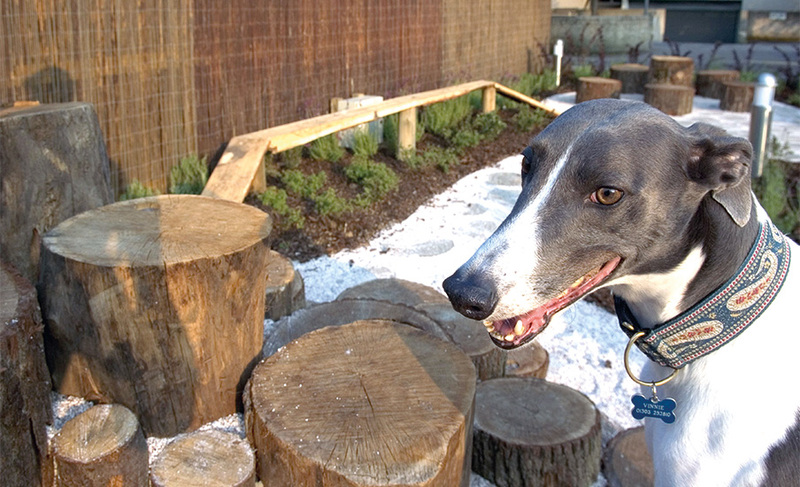 Barking Rocks is a social sculpture on several counts: it reclaims derelict land, returns it to the community and privileges, in a playful way, the disadvantaged, both human and canine.